In a classic opening, Kermit the Frog is in the swamp singing "The Rainbow Connection" wistfully to himself when he's overheard by a passing showbiz agent (Dom DeLuise), who compliments the amphibian on his talents. Fired up by the thought of performing in Hollywood, Kermit hits the road on a bicycle, heading westward and gathering along the way a menagerie of equally-ambitious Muppet animals. There's the painfully-unfunny standup comic Fozzie Bear, the unclassifiable Great Gonzo, the rock band Dr. Teeth and the Electric Mayhem, and the feisty, narcissistic diva Miss Piggy, who immediately becomes infatuated with the go-getter frog. But upon seeing charismatic Kermit, Doc Hopper (Charles Durning) decides he's the perfect spokes-frog for his chain of frog-leg restaurants. The bad guy's cross-country pursuit sidetracks the Muppets, but eventually they arrive in Hollywood and get signed to the standard "rich and famous" contract. Jim Henson's debut Muppet film was a technological breakthrough because it was the first time his beloved Muppet Show characters were shown in full, from head to toe. In one of the most impressive scenes, Kermit pedals a bicycle. The beauty of the movie is that the relatively low-tech magic, innocence, and sweetness of Jim Henson's characters still hold up. It's wondrous how alive and likeable a piece of felt like Kermit can be with just a smirk or tilt of his fabric head. 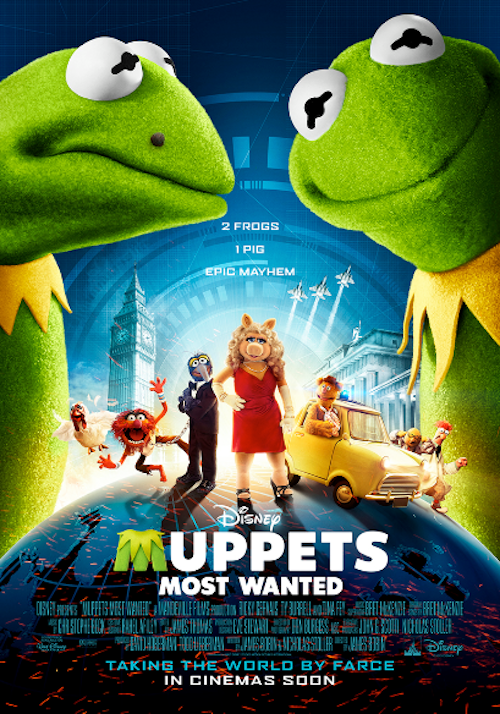 Grownups and kids will have no trouble accepting the Muppets' interactions with humans or each other, even if the Kermit-crazed villain seems a weak afterthought. If anything's gone stale it's the jokes and puns, seemingly pitched at the younger scale of the Muppets' global fandom. Still, adults will have more than one occasion to smile, especially at the parade of celebrity appearances, including Steve Martin, Richard Pryor, Orson Welles, and Mel Brooks.